Just picked up my 10 C14 a month ago. Coming off of a 04 ST1300 that retired/ gave to my son with 93K. I really liked the ST. Couple of things that I didn’t like about the C14. The exhaust, just didn’t look right. 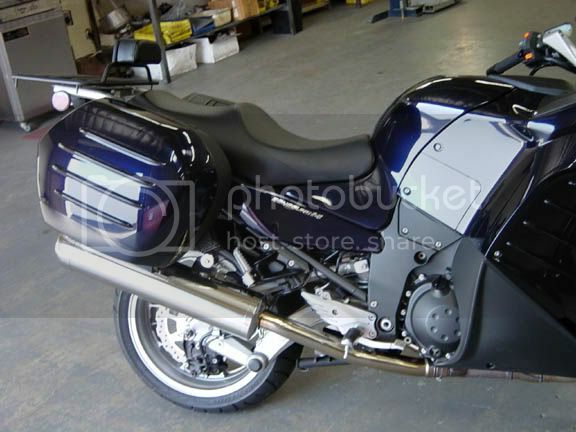 Did some research on the ZX14 dual exhaust and decided that that was the way I wanted to go. I have not seen anyone finish install details, so maybe these will help anyone interested in doing this swap. Please excuse how dirt it is, it’s been raining here a lot and I ride every day. Overall, the system fits just like stock and I have kept the center stand. The modifications were very easy. The bike looks much better with the duals and at some point I may go to a set of aftermarket ZX 14 slip ons. 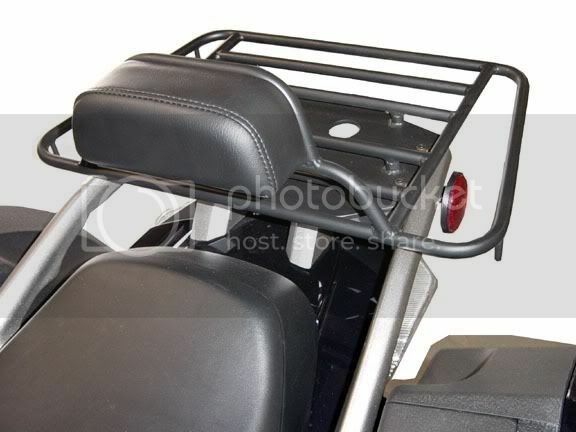 The other thing was the lack of a “useful” rack. I couldn’t find anything that fit my bill, so I built one that included a small passenger back rest. I wanted something that would support a fairly large bag. The only other thing added is a set of Murph’s risers. Easy install with great results. Hope to put as many miles on this as my ST.
Looks really nice. I've always been envious of that kind of talent. That's the way the bike should have looked in the first place. But I think Kawasaki is more interested in showing off the final drive on the C14, than having the bike look the way it should! I see from your pics that the cans are pretty close to the bottom of your bags.I just finished installing mine and I modified the original hanger and the new left side hanger so my cans are about a 1/2 inch lower then yours.I was a little worried about the heat on the bottom of the bags.I also put 4 washers behind the side stand mount so it would go all the way up before touching the pipe.I cut the center stand foot actuator off for now so the center stand would retract all the way,but mine actually covered the rubber stop halfway.I did not add the extension like you did.No pics yet but it sure looks sweet now even if it does not improve performance much. 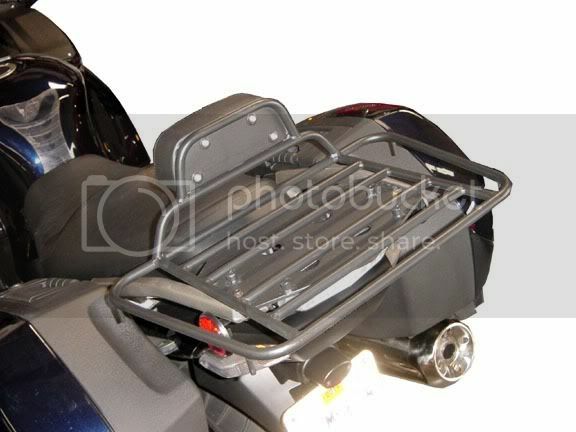 On my ZX14, I installed SW-MOTECH side-racks and top rack, and run with GIVI side cases and top case. I've replaced my stock exhaust with Brock's CT-Duals system, and was worried about the heat on my sidecases because the clearance is only 1/4". I am happy to report after a season of that configuration, there is no sign of heat trauma on the side cases at all, and that includes enough sitting still with no air flow to make me confident I won't have any problems. If someone wants a full stock ZX14 exhaust system, I have no need of mine. I'm not going to clean the header off, lol, you can do that yourself. The one muffler has ever so slight a scratch because I had them on my trailer and they got knocked off. Just PM me an offer, if it covers shipping plus a little we can do it. By the way, the post about putting them on the C14..... Brock's is selling the CT mufflers as slip-ons now, I think. Could be wrong, but I thought I saw that on their site. You might want want the inserts to quiet them down. A piggy would love 'em. This is interesting, it kind of goes along with the post "Exhaust". I've got a full set of ZX-14 exhausts sitting in my garage just waiting for me to get around to trying them out. I do like the looks of the duals better. One of these days I'll get up the energy to mess with them. 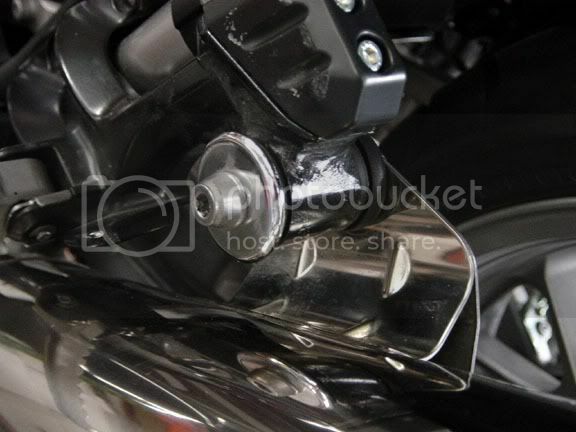 The headers I got don't have the CATs in them, and I'd have to get a bung welded on them for my Autotune sensor and get my centerstand modified as well. 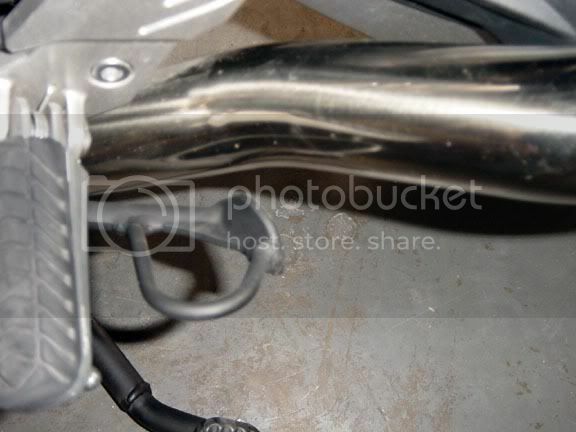 Looking at exhaust options, hate the way the stock system looks. Sure would like it if we could get the pictures that were posted here in Photo Bucket reposted. I have been looking at the Area P but not sure I like the look much better than the stock system may consider modifying an Area P ZX system. i currently have the bike for sale. Tom, is there any way that you can send or post your original photo's of the install? Hope someone jumps on it! And Thank You. Did you make your own mounting or did the ZX stuff work? 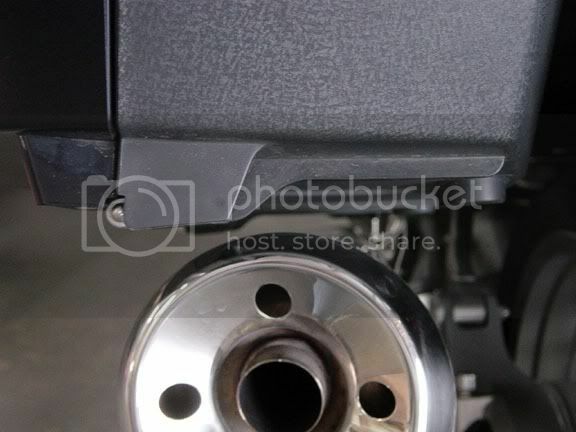 I was looking at the full Area P maybe I will just order the full ZX system and do the same modifications to it that you did to the stock ZX system. I wonder how Steve's Area P ZG tuning would work with the ZX system or if he would be able and willing to make any changes. Hi Ted, i have the photos, can they be posted directly to the forum, or do they still need to go thru a hosting service? 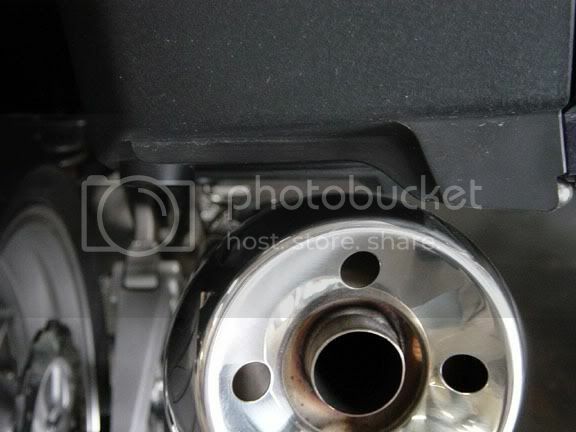 Grant, an aftermarket exhaust system for a ZX14 will also work. 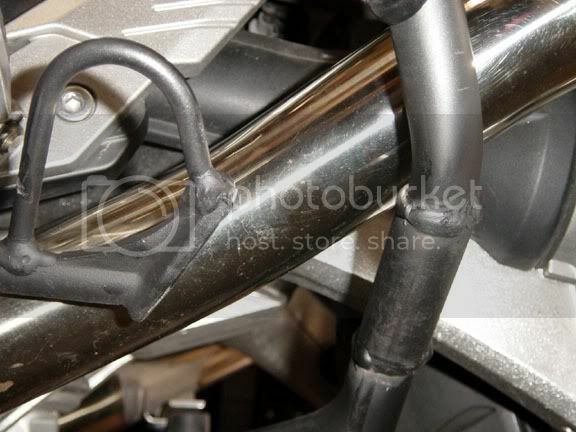 I have been looking at aftermarket ZX systems but it seems the aftermarket finds more performance in a single muffler. I am more interested in the look of the duels and balancing out the bikes looks. Reality is I don't need any more performance out of the sea 14, the bike's performance is well above my writing abilities anyway. I have posted in several other places and posts about my forray into this venture. 1. Find a used Muzzy's Dual System. Full stop. 2. Find a used ZX14 dual system including header. Remember that the hardest parts of this conversion will be finding / sourcing / fabricating a left side exhaust hanger, and modifying the center stand. There are ALOT of hidden costs to this swap, be warned! 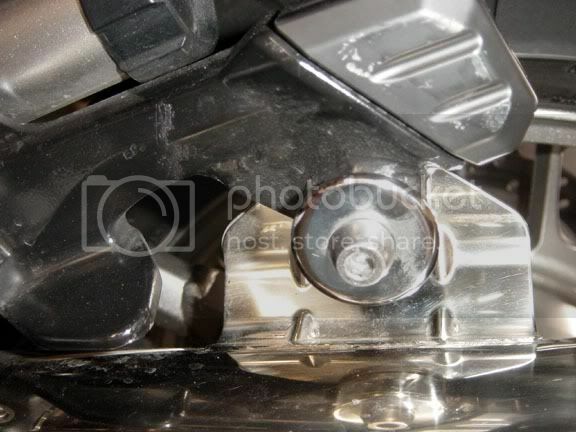 Also, you'll need to upgrade your ECU / Tune to accommodate for the new pipes. Steve offers an AreaP Flash that is not specifically designed for duals, but works, depending on the type of header you utilize on your system. 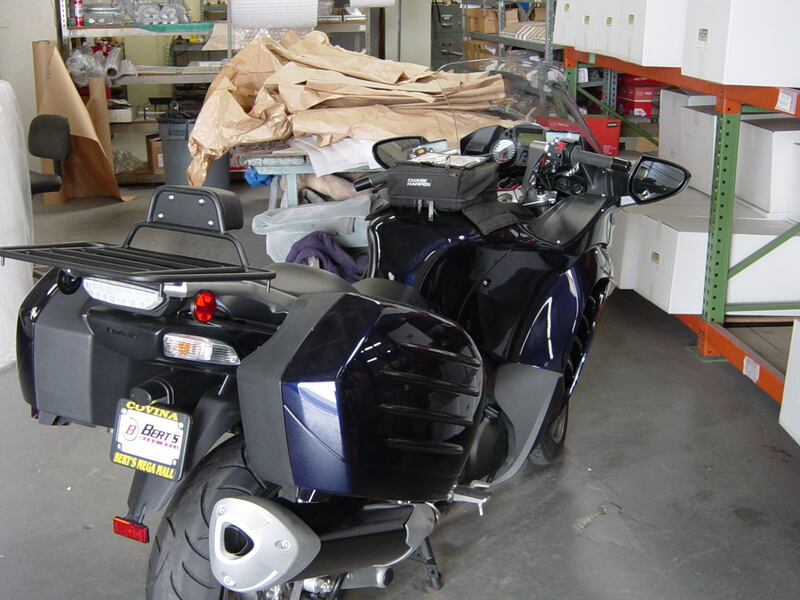 It is WELL established that a slip-on aftermarket muffler with the OEM 4-2-1 header on the C-14 with Steve's Flash, will produce more USABLE low-end and mid-range power than any dual aftermarket systems. FULL STOP. Properly set-up and tuned Duals, are better at making more power Higher in the rev-range. 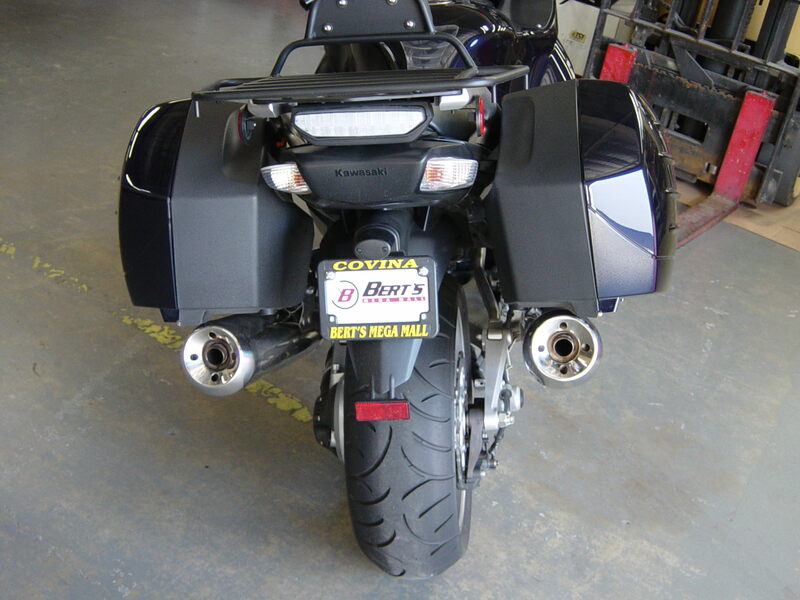 If you want a DUAL exhaust LOOK, then sourcing a used ZX-14 header and cans, or with aftermarket slip-ons will be your cheapest, most available option. PM me if you have questions. I just welded an 07 ZX14 header shut on the left side exit and continued to use my C14 slip-on Delkevic can. No cat, no baffle, she sounds angry. Nice job on the Left Side Exhaust Hanger TCT. And thanks for posting new pics. Photobucket really took a chunk out of our archives. I have the same mufflers and your photo's now raise concerns. 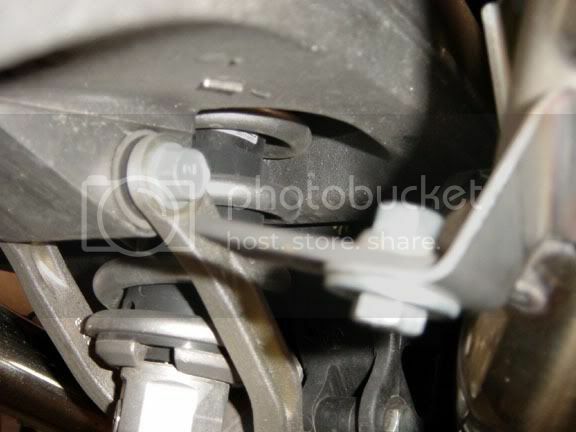 1) I have passenger peg lowerers.. Will the mufflers work with them installed? 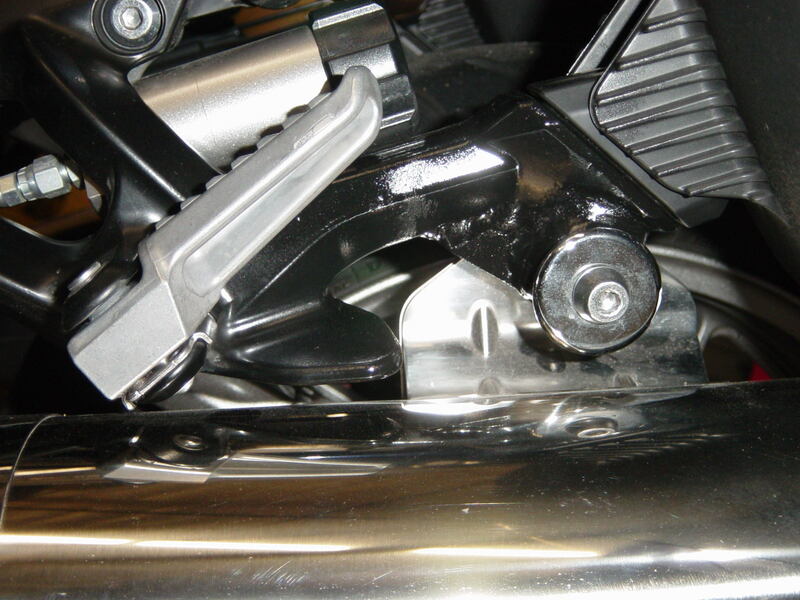 2) I shortened my center stand because I lowered the bike 1". Will the shortened stand work to my advantage? These are old pics, but the setup is essentially still the same. 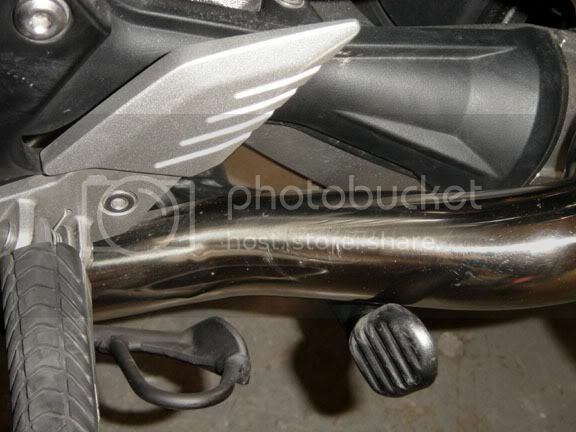 Those are Akrapovic Carbon Fiber slip ons with a ZX14 header, with opt. dB inserts (shown in). I came across this old post today. I have a set of stock ZX-14 mufflers identical to the ones that Tom used. If so, we can work out a heck of a deal.